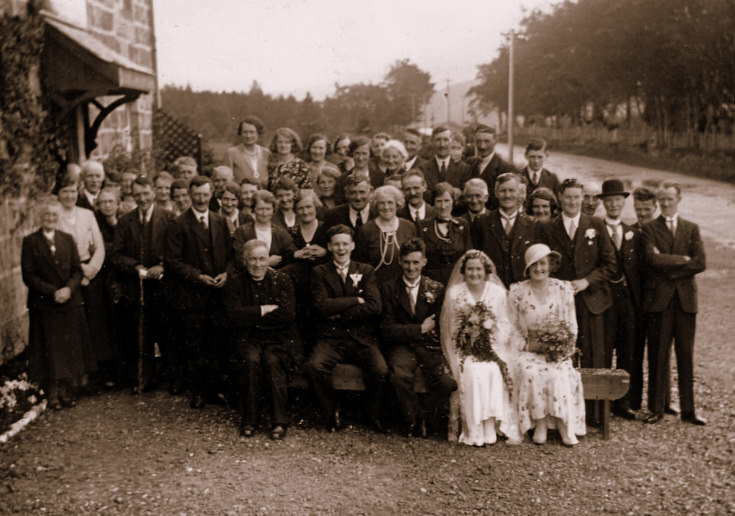 Bride Beldy Beattie of Milton, Kildrummy; groom W.Thom. Extreme right is George Donald (Lumsden, shoemaker). I am Elizabeth Beattie's grand-daughter living in Brisbane Aust & am so happy to find this photo. It is so clear.